We are engaged in offering BJP fatka. Our reputed entity is engaged in supplying BJP Fatka. Our reputed entity is engaged in supplying BJP Silk Fatka. Our reputed entity is engaged in supplying BJP Election Fatka. 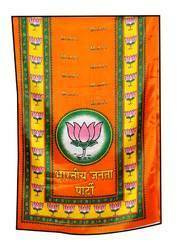 We are engaged in offering BJP Party mufflers. We are engaged in offering Election Scarf. 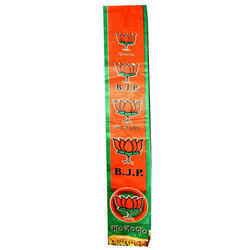 Being a leading firm in this industry, we are offering a high-quality range of Indian Election Scarf.